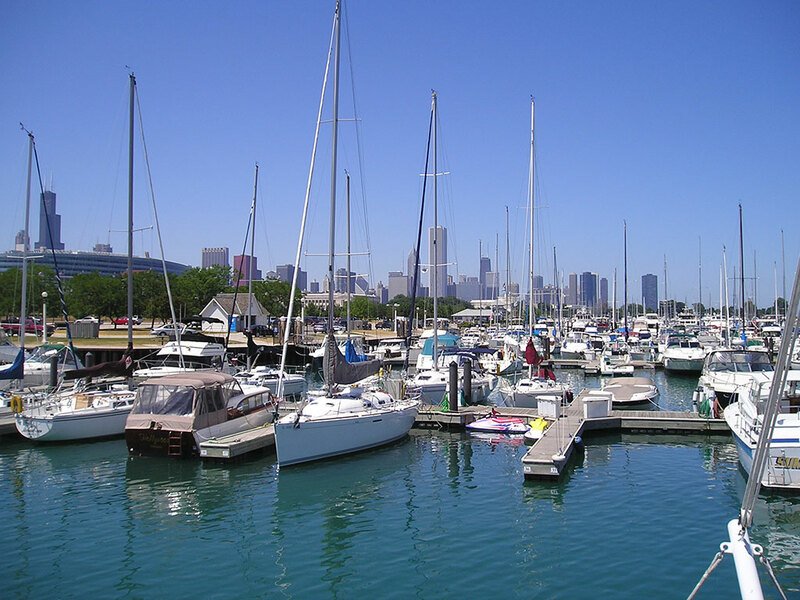 This is a beautiful day in Chicago with a cool wind blowing in from the Lake. Our neighbor on the dock just got a new 37 ft SeaRay named 'Fire Escape'. You can guess that he is a Chicago fireman. He loaned us his truck to go food shopping at the Jewel store about 2 miles from here. With transportation we were really able to stock up and loaded the boat down with provisions for the rest of the trip. Our son's family were all planning to come to Chicago but our granddaughter has the flu so only the 3 boys drove down from St Paul. They will be in a reserved hotel tonight but plan to stay on the boat Saturday night and cruise through downtown Chicago with us.